Quentin is constructed of angular forms that create a striking geometric interplay. 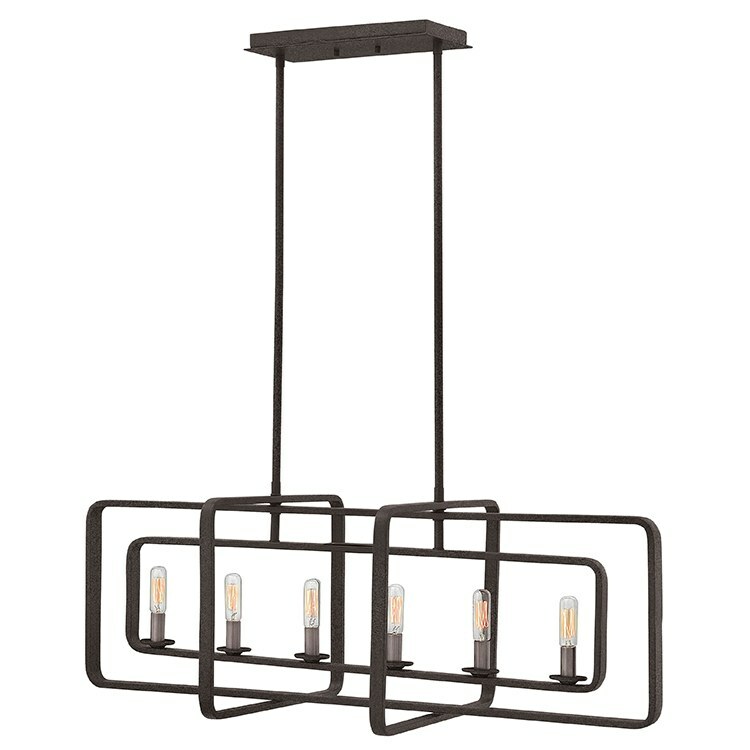 This stem-hung, six-light linear chandelier features intersecting rectangles in an Aged Zinc finish, forming a modern silhouette. Candle sleeves in Heritage Brass add a distinctively vintage feel that is both hip and historical. 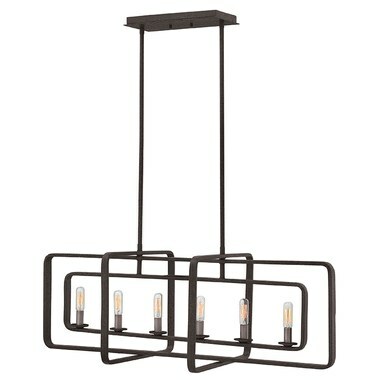 The fixture includes two 6" long stems and two four 12" long stems.